Home / STORIES / ILang Kabataan, Pinagtanggol ang Pulubi Matapos Paluin ng Gwardya sa tuhod habang itoy pinaaalis. 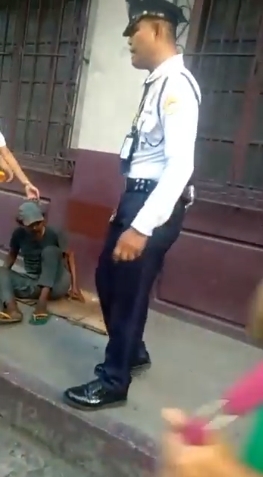 ILang Kabataan, Pinagtanggol ang Pulubi Matapos Paluin ng Gwardya sa tuhod habang itoy pinaaalis. The primary job of a security guard is to protect the establishment to where they are employed and their fellow employees. Like the police, they are given the responsibility to assure the safety and protection of the workplace, establishment, and the employees. 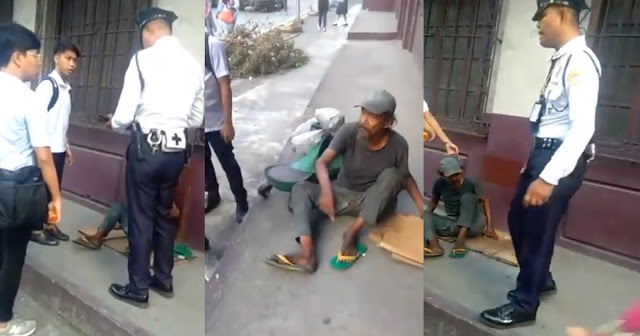 However, one particular security guard went viral online after hitting an old man while forcing him to leave. Netizens were fuming over this viral video of a security guard who did such an awful thing toward an old man. 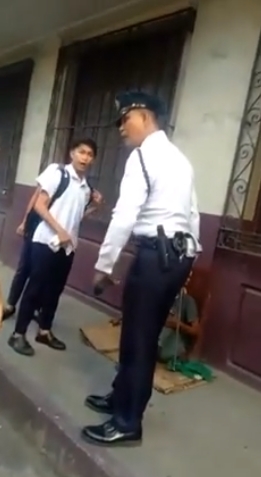 On November 14 near the Philippine Women's University, one concerned netizen named Sam Chi witnessed the incident and uploaded the video on the social media. 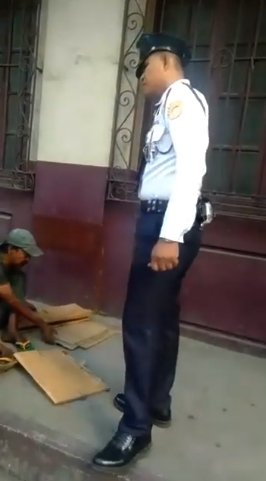 He explained that the guard hit the old man sitting outside the establishment with a metal object. 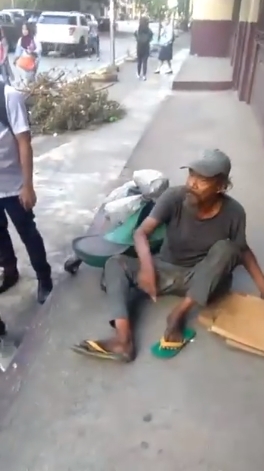 He also mentioned on the post that the old man was probably frail, mentally-ill and was incapable to walk. 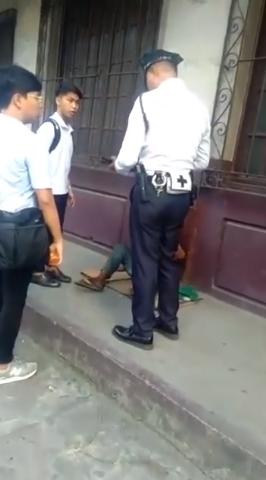 As you can watch in the video, the the guard was arguing with a group of male students while the poor man sat behind them. The boys were heard defending the old man against the guard saying that he shouldn’t have used such extreme measure just to make the man leave the vicinity. But the guard answered them back with profanities instead. According to him, he already warned the old man several times but he didn’t budge. He then told the students to take away the man instead. 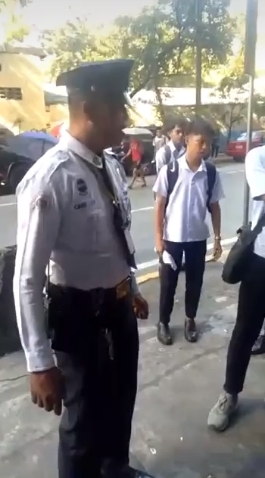 The guard even accused the students for knowing the him because they defend him. The arguement lasted for several minutes before the security guard marched away from the scene. 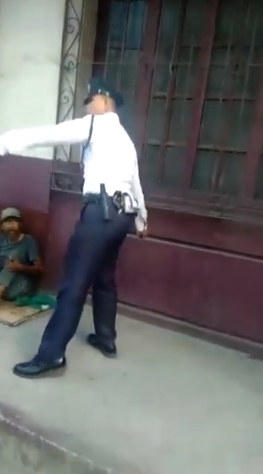 This elicited anger from the netizens and lambasted the guard for doing such to the old man. Netizens also hoped that someone will take necessary action on this incident.